Likes: No alcohol! 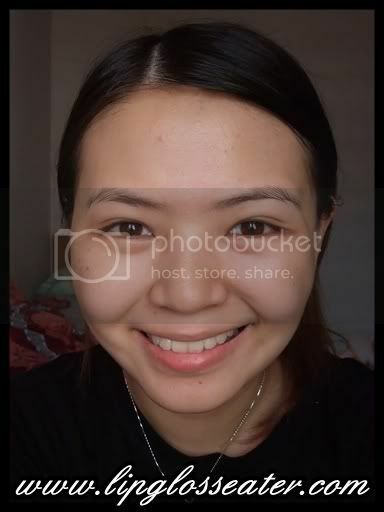 !, moisturizes and softens well, really brightens face!! 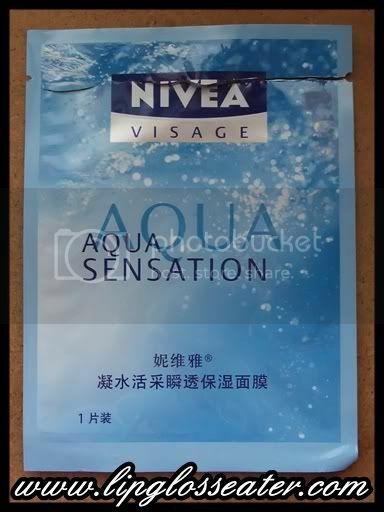 Aqua, Glycerin, Propylene Glycol, Butylene Glycol, Niacinamide, Panthenol, Panax Ginseng Root Extract, Hydroxyethylcellulose, Disodium EDTA, Diazolidinyl Urea, Methylparaben, Propylparaben. For a fresh & radiant complexion. No alcohol. No perfume. No colour. Ginseng & B Vitamins. Dermatologically tested. Each soft-fleece mask provides the skin with a 'moisture boost'. It contains moisturising ingredients which boost the skin's moiture depot by 15 times. Specially formulated with Ginseng and B Vitamins, each mask locks the moisture within the skin cells, therefore guaranteeing a prolonged moisture treatment. Result: Your skin is intensively hydrated, and feels smooth and invigorated. Your complexion looks fresh & radiant. 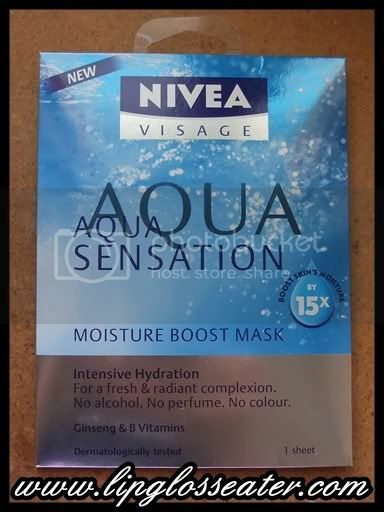 This is now officially my holy grail moisturizing mask, along with the Neutrogena Deep Hydrating Mask. LOL. i think connie is totally digging your cuteness. but i really like yr eyes too! 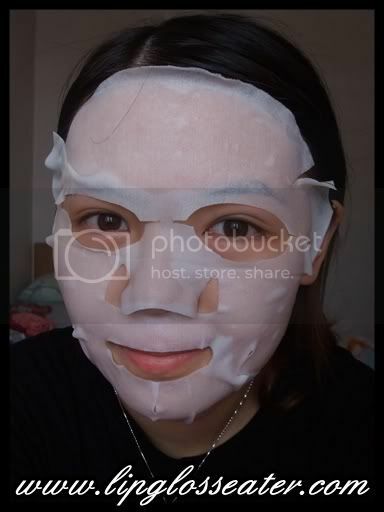 now i have quite plenty of hydrating mask, now i need clarifying mask. argh maybe i should give aspirin mask a try. right right? Are you dumb? Panthenol IS alcohol. Tsk. Panthenol is alcohol but listed as emollient and a moisturizer.. it is not alcohol denat that will dry out your skin and is mostly avoided by people with dry&sensitive skin..